The seminary abbot, Metropolitan Elpidoforos of Bursa, welcomed the journalists and presented the work done for the reopening of the seminary, such as reconstruction of the building’s exterior, renovation of the dormitories and classrooms, and the revision of the study program. He also talked about the project for the digitization of the valuable seminary library. Answering to journalists’ questions, the Metropolitan made clear that there is no legal impediment regarding the opening of the seminary, but that is a matter of political judgment. 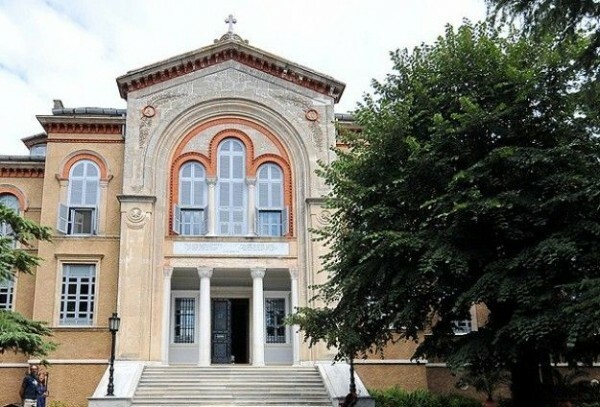 The representative of Vakoufia minorities, Lakis Vingas, pointed out that the Halki seminary is a crucial issue, closely related to the Ecumenical Patriarchate. Father Dositheos, spokesman of the Ecumenical Patriarchate, stressed that the seminary’s graduates have served the Orthodox Church across the world and collaborated with representatives of other churches on important ecclesiastical issues. He also pointed out that current Ecumenical Patriarch Bartholomew is a graduate of the Halki seminary. The seminary was founded in 1844. It operated continuously until its closure by Turkish authorities in 1971 due to a new law that put religious and military education under state control.